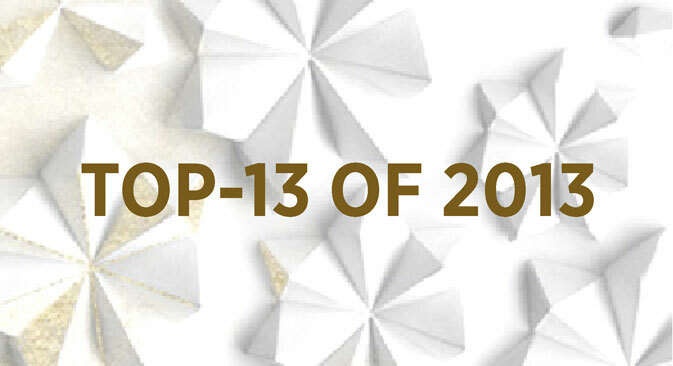 Along with you, we would like to choose the best articles of 2013. This kind of feedback is bound to help us improve. We will be glad to know what you think and to receive your comments. Besides, have a fresh look at the site, maybe you missed some of the outstanding articles, which were popular with our readers? Kudankulam goes ‘critical’ – what next? The commissioning of the KNPP and the probable arrival of the Vikramaditya would give ballast to the sail of the Russian-Indian relationship by the time the next bilateral annual summit takes place. An FTA with the Customs Union of Russia, Kazakhstan and Belarus will mean preferential access for India’s exports. God willing, it will do a world of good for trade with Russia. Exactly 30 years ago, when early warning systems indicated the Soviet Union was under nuclear attack by the United States, air defence officer Stanislav Petrov went by gut instinct and decided the alarm was false. It was a decision that saved the human race – and ended his career. With the air defence MiG-29s being upgraded to an advanced multirole aircraft, the Indian Air Force could save more than $10 billion by scratching the Rafale. Did Netaji escape to the Soviet Union? Subhas Chandra Bose knew that it was unlikely for him to be welcomed in the USSR, but even surrendering to the Soviet side, which was not interested in taking him to a tribunal, was preferable to facing British wrath. October 2 is the 109th birth anniversary of Lal Bahadur Shastri, a man who was considered the epitome of honesty, openness and integrity in the world of politics. The second Indian prime minister died in Tashkent in 1966 and mystery still surrounds his death. Russian analysts believe that predictions about the sunset of BRICS as a driving force in the global economy are premature. The Russian economy now has an opportunity to harness the unique heritage of the communist empire with modern ideas and solutions. Increasing incidents of violence against women and children in India, including in relatively safe Mumbai, leave many resident Russians concerned. If JSC Russian Railways has its way, the most basic and economic form of train travel will become a thing of the past. This would signal the end of an era in railway travel in the country. Some foreigners get so used to certain typical Russian situations and people that life never feels the same without them.